Shop for folding carts at Material Handling Solutions. 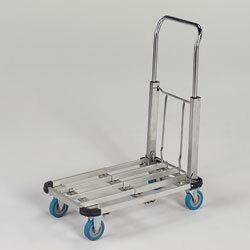 Our versatile folding carts are a must for transportation in nursing homes, offices, hospitals, mailrooms etc. They are ideal for pick-up and distribution of supplies, mail, records, parts, tools, disposables and more. 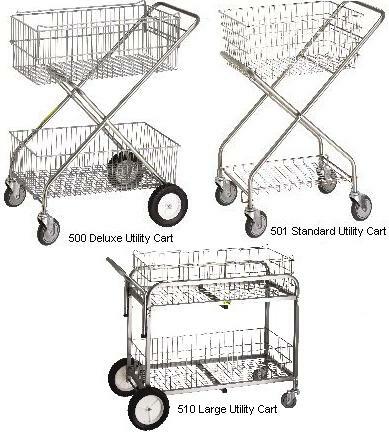 Our lightweight chrome plated wire folding carts feature removable baskets, build-in hanging file frames, 1/8â€� round steel tubing and folds for easy storage. Our folding carts are available in a variety of different styles, heights and capacities. Many clients who purchased folding carts also bought utility carts, janitorial carts and stock carts. We offer many other types of material handling equipment. Please check out our large selection of storage cabinets and industrial and commercial mats. We can customize any mat or runner with your own personal logo. Call us toll free and we will design your mat for you.